WordPress Categories & Tags: What’s the Difference and How to Use Them? It is necessary to know what are the differences between categories and tags before using them. So both of categories and tags are always found in the right bar when writing or be editing a post. For the organization of your site and the most important for the SEO both have their significance in your website. As per the name implies, categories are the most general method of grouping content on WordPress site. For instance, if I write a post about food, I’ll put it in the Food category. If I write a tutorial on how to start a blog with WordPress, I’ll put it in WordPress tutorial. Like parent and child in categories, the terms have a relationship to one another. Here’s an example, you could have a Category called WordPress, and under WordPress, you can add categories like WordPress plugins, WordPress themes and so on. 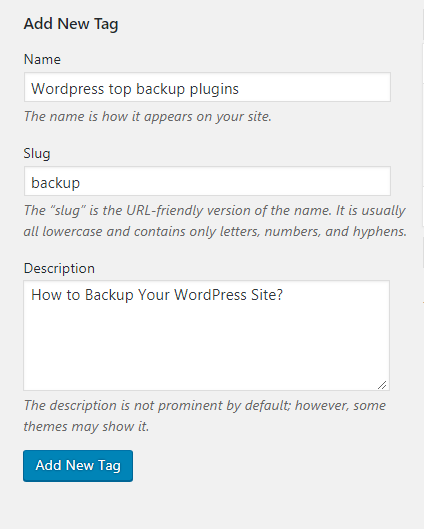 What are Tags in WordPress? In WordPress, tags are the basic mechanism which helps to identify a piece of content in WordPress post. In simple word, Tags are the ways to organize a post by the simple keywords. For example, if I write a post about “What is the difference between categories and tags” then I can add the following tags such as Categories and tags, a difference between categories and tags. In general, tags are somewhat that sum up the idea of the post. 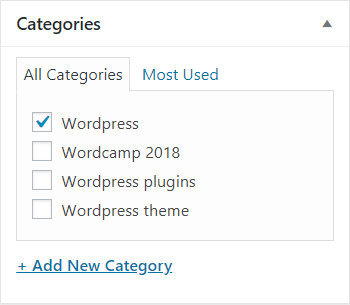 How to Create Categories in WordPress? Method 1) Create Categories from dashboard. Method 2) Add categories after completing post in the right bar widgets. But I suggest never add categories when working on your post. Ideally, you should know the main category of your blog before creating content for the post. Method 1) Create categories from the dashboard. 1. Go to dashboard and navigate to the Posts >> Categories menu. 2. Fill all the fields Name, Slug, and Description. 3. Therefore, at last, see the finalized list of categories. 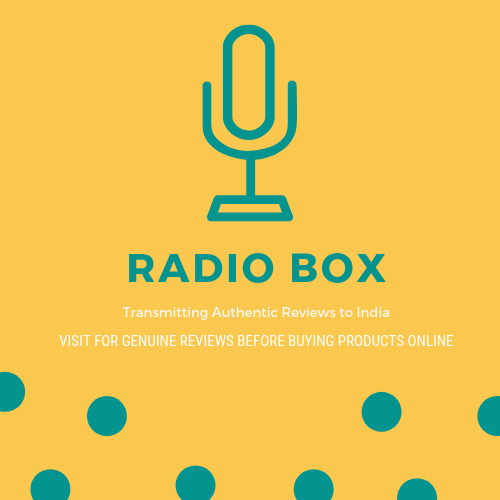 Method 2) How to add a Category after completing the Post? 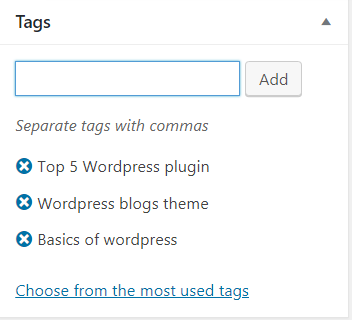 How to create Tags in WordPress? Creating a tag can be done in the same way for the post as you create a category. 1. Go to Dashboard and navigate to the Posts >> Tags menu. 2. When the Tags page opens, fill all the fields in Add New Tag. 3. Finally check the finalized list of tags on the right side. Method 2) How to add Tags after completing the Post? 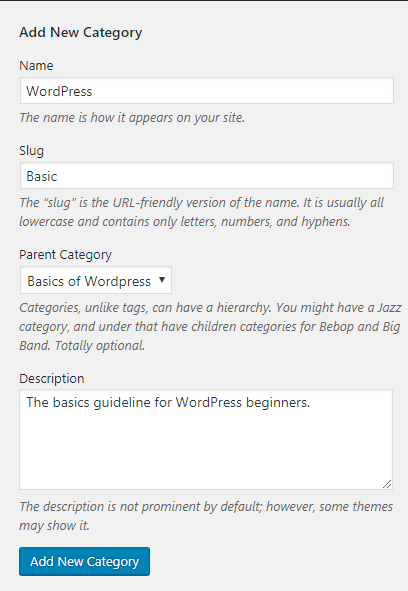 That’s all, we hope this article helped you to know about what are categories and tags in the WordPress.